2020 Democratic presidential candidate Sen. Kamala Harris waits to speak at a house party Thursday in Des Moines, Iowa. Harris and her husband reporting giving a small portion of their income — often about 1 percent to 3 percent a year — to charitable causes. 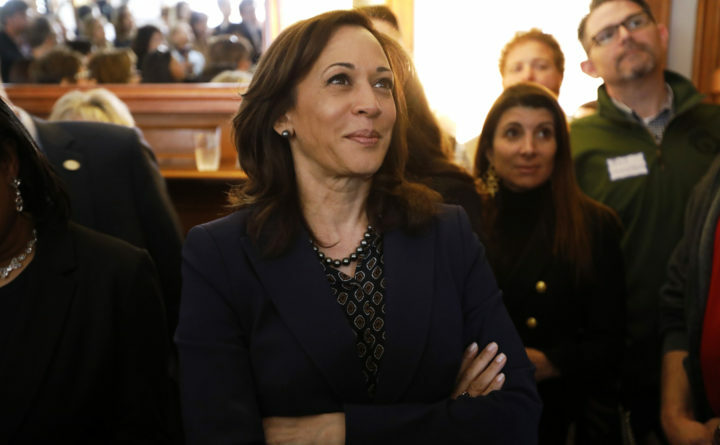 Harris reported no charitable contributions some years when she was California’s attorney general.